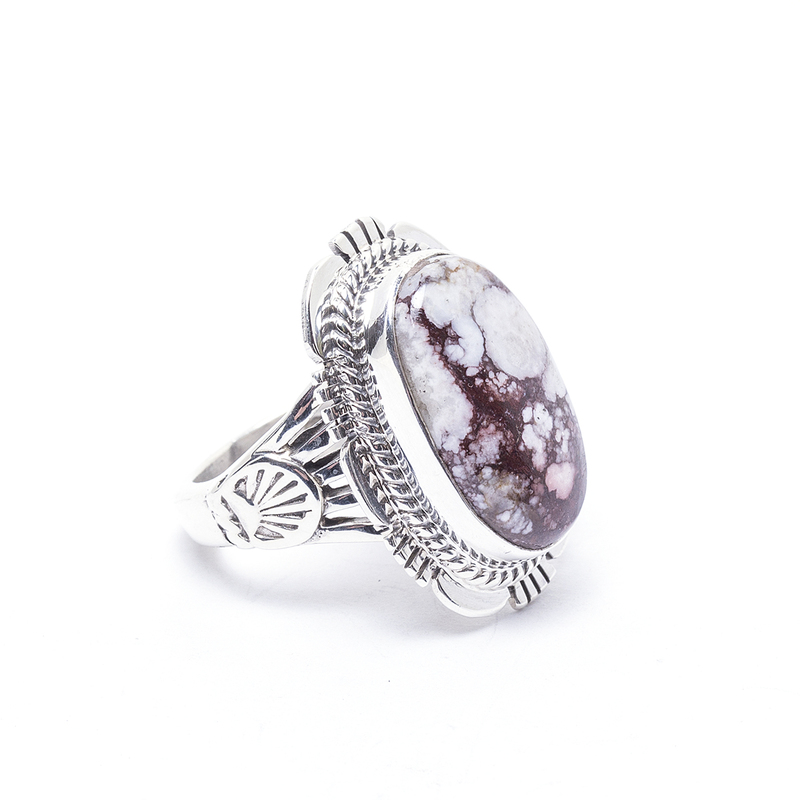 This Navajo Magnesite Ring is handcrafted by adept Navajo artisan and silversmith, John Nelson. The richly detailed silver work sets off the Wild Horse Magnasite stone in colors of brown and cream. 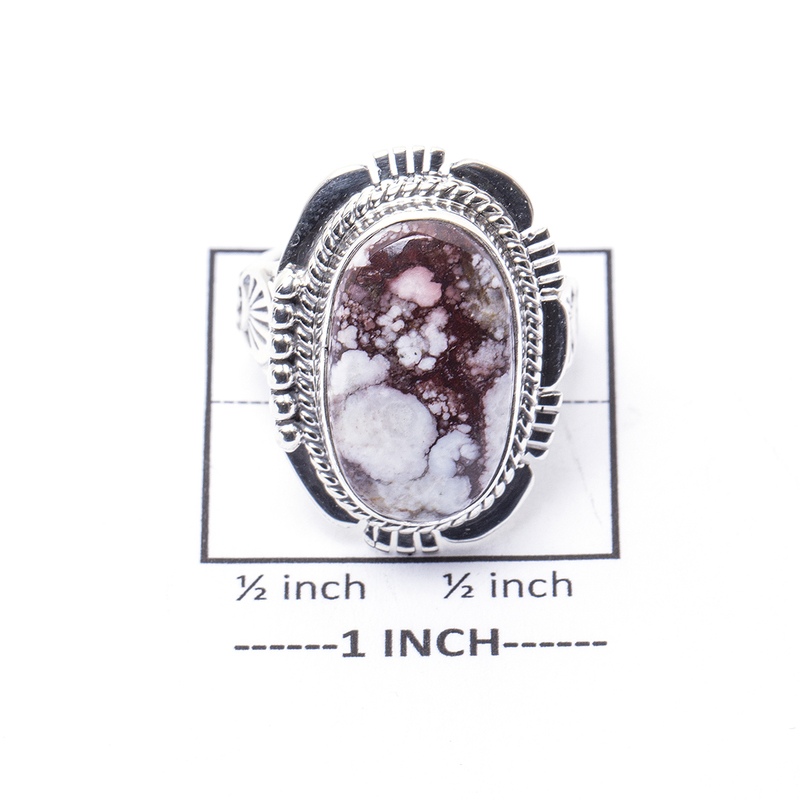 A wonderful gift idea, the soft colors will compliment any outfit. We can size this for you. We also offer free gift wrapping. Just ask! 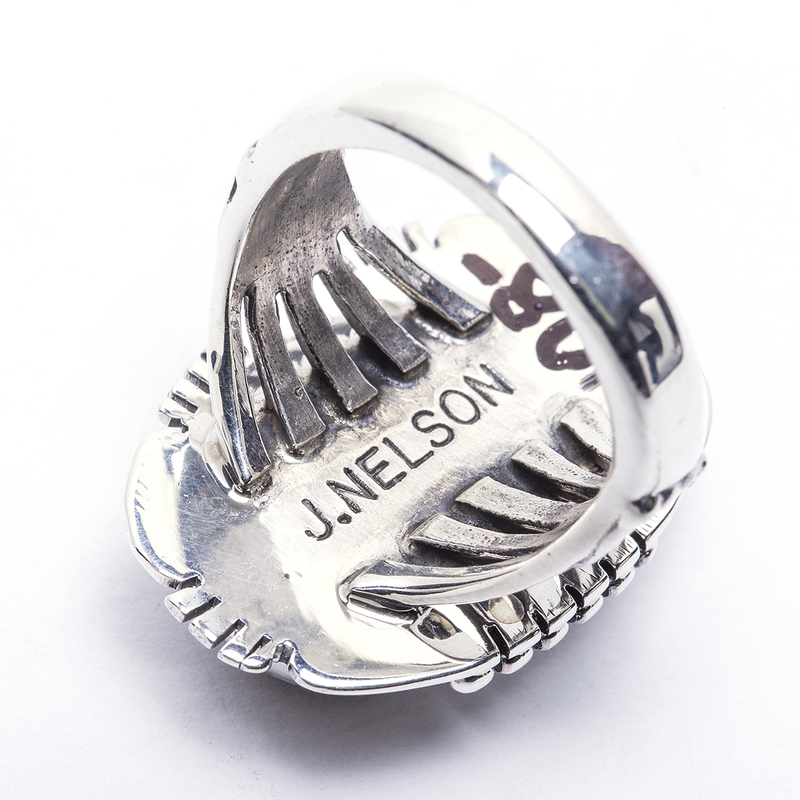 Navajo artist John Nelson Magnesite and Sterling Silver Ladies’ Ring features a beautiful array of the brown and white colors of Magnesite, earning its name “Wild Horse”!